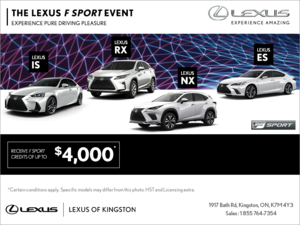 TORONTO, ONTARIO, November 15, 2017 – Get to know the Lexus NX series and embrace the bold, expertly crafted interpretation of the luxury compact SUV. Significantly updated for 2018, the NX stands out in any crowd. Striking style is front and centre with the NX. This progressive compact SUV features a distinctive diamond-shaped body with bold character lines, combining the powerful presence of an SUV with the dynamic agility of a sports car. For 2018, the boldly-styled signature Lexus spindle grille is now flanked by air intakes for enhanced engine and brake cooling, plus newly designed Bi-Beam LED headlamps. The rear fascia features a revised tail light design, while the spindle motif of the back door helps accentuate the NX’s low, powerful stance. Keyless door handles illuminate to light your entry and exit and the unique outer-sliding design of the power moon roof provides a larger opening and more interior headroom. Other exterior details of note include power adjustable and heated mirrors with integrated signal lamps, LED daytime running lamps, fog lamps, and brake lamps, and dual exhaust. The NX is as luxurious on the inside as it is bold on the outside. Eight-way power adjustable front seats and power reclining/folding 60/40 split rear seats are cloaked in soft, durable NuLuxe. The steering wheel and shift knob are wrapped in hand-selected leather. Lexus craftsmanship is evident in every stitch. Controls are close at hand – with audio controls and paddle shifters (new for 2018) mounted on the steering wheel, and an enlarged centre console for easy viewing. New for 2018, all NX models feature Lexus Enform, delivering thoughtful connectivity and peace of mind technology in one simple to use package. Enform App Suite 2.0 puts popular apps at one’s fingertips, and lets drivers bring their music along for the ride. Embedded or Scout GPS-link cell-based navigation helps show the way. 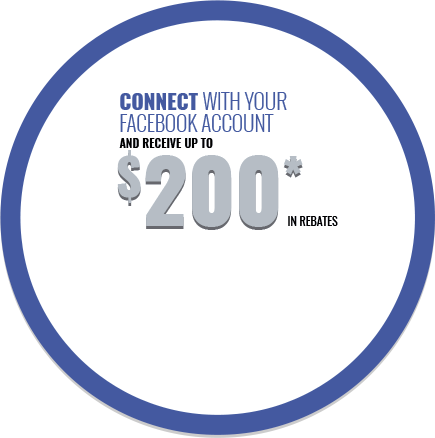 And Enform Safety Connect offers emergency assistance at the press of a button. The NX 300 features Lexus’ first-ever 2.0L four-cylinder direct injection turbocharged engine, delivering unflinching performance plus unexpected fuel efficiency. With a world-first combination of a water-cooled cylinder head, integrated exhaust manifold and twin scroll turbo charger, the results are undeniable. The NX 300’s power plant generates up to 235 horsepower, linked to a six-speed automatic with lock-up torque converter, a drive mode select system that lets the driver choose between Sport, Normal and Eco modes, and more. The NX 300h features a Lexus Hybrid Drive built specifically for this model, with a 2.5L Atkinson cycle four-cylinder engine and electronically controlled continuously variable transmission, producing 194 net system horsepower and featuring a drive mode select system that lets the driver choose between Sport, Normal, Eco and EV modes, and more. Regardless of power train, every NX also features highly responsive and efficient electric power steering, MacPherson strut front suspension and double wishbone rear suspension, all-wheel-drive, vehicle stability control, traction control, hill start assist control, dynamic torque control, front ventilated disc brakes, electronic parking brake, mud and snow tires, and more. The NX series also features impressive safety performance. New for 2018, all models feature Enform Safety Connect including automatic collision notification, stolen vehicle locator, emergency assistance button and enhanced roadside assistance. Also new for 2018, all models feature Lexus Safety System +, including the pre-collision system, automatic high beam, dynamic radar cruise control, and lane departure alert with lane keep assist. Other safety features include whiplash injury lessening front seat headrests, a back-up camera, eight airbags, a direct tire pressure monitoring system, an onboard first aid kit, and more. The 2018 Lexus NX 300 with Premium Package (Starting MSRP: $48,000) adds a heated steering wheel, power tilt/telescoping steering column linked to driver’s seat memory system, power rear hatch, garage door opener, a 120V power supply, power sliding/tiling moon roof, exterior mirrors linked to driver’s seat memory system, heated and ventilated front seats, 18” alloy wheels, the Blind Spot Monitor and Rear Cross Traffic Alert systems, and more. The 2018 Lexus NX 300 with Luxury Package (Starting MSRP: $53,500) builds on the Premium configuration. New features for 2018 include enhanced Enform applications, a 10.3” display audio system, panoramic view monitor, clearance and backup sensors with rear cross traffic braking, and triple beam LED headlamps. Other upgrades include Lexus Navigation with remote touch interface, LED high beams, auto levelling headlamp system, rain sensing wipers, leather seating and shimamoku woodgrain trim, and more. The 2018 Lexus NX 300 with Executive Package (Starting MSRP: $56,700) builds on the Luxury configuration. New features for 2018 include unique 18” alloy wheels, a kick sensor on the power back door and heated rear seats. Other upgrades include a head-up display, wireless charging system for select personal electronics, power folding rear seats with remote switches, and more. The 2018 Lexus NX 300 F SPORT Series 1 (Starting MSRP: $51,350) adds sporty performance and style. New for 2018, this package includes triple beam LED headlamps. Other upgrades include a heated steering wheel, power tilt/telescoping steering column linked to driver’s seat memory system, power rear hatch, garage door opener, a 120V power supply, power sliding/tiling moon roof, exterior mirrors linked to driver’s seat memory system, LED high beams, auto levelling headlamp system, sport-tuned suspension, F SPORT exclusive features including 18” alloy wheels, fog lamps, grille, shift knob, seats, and scuff plates, aluminum sport pedals with rubber inserts, the Lexus G Meter, and more. The 2018 Lexus NX 300 F SPORT Series 2 (Starting MSRP: $54,400) builds on the Series 1 configuration. New features for 2018 include enhanced Enform applications, a 10.3” display audio system, panoramic view monitor, and clearance and backup sensors with rear cross traffic braking. Other upgrades include Lexus Navigation with remote touch interface, rain sensing wipers, and more. The 2018 Lexus NX 300 F SPORT Series 3 (Starting MSRP: $57,200) builds on the Series 2 configuration, adding a head-up display, wireless charging system for select personal electronics, an adaptive variable suspension system, and more. 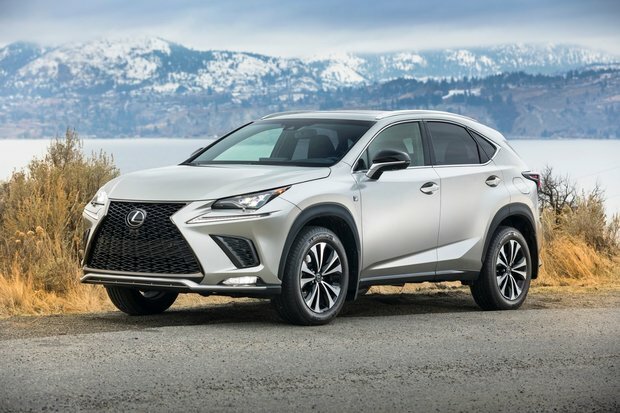 The 2018 Lexus NX 300h with Executive Package (Starting MSRP: $62,750) adds luxury and technology. New for 2018, this upgrade includes a kick sensor on the power back door, heated rear seats, panoramic view monitor, clearance and backup sensors with rear cross traffic braking, triple beam LED headlamps, and a unique 18” alloy wheel design. Other features in this package include rain sensing wipers, head-up display, blind spot monitor, wireless charging system for select personal electronics, power folding rear seats with remote switches, and more. The 2018 Lexus NX series is now on sale at Lexus Dealers across Canada. For complete and up to date details and specifications, visit www.lexus.ca/nx.